Winter is just around the corner and the temperature drops every day. But before taking out the big winter coat, there might be a few days left for cosy fashion tops and nice jackets. Pair the sweaters with jeans and high heeled ankle boots or wear them with skinny pants or leggings and boots. Single-colours and simple prints allow you to create even an elegant look with the right accessories. Leather jackets are great because they look perfect for many occasions. With a plain white shirt, jeans and sneakers they are nice for a walk but you can also wear them with a lovely dress and high heels for a night out with your friends. Overall both men’s and women’s jackets have it common that they can create different styles for you. Wearing the same fashion tops with different jackets can give you a whole new look. Put on a leather jacket, a trench coat or a bomber jacket, you can’t go wrong as long as you choose something that you really like and suits not just your outfit but also your personality. 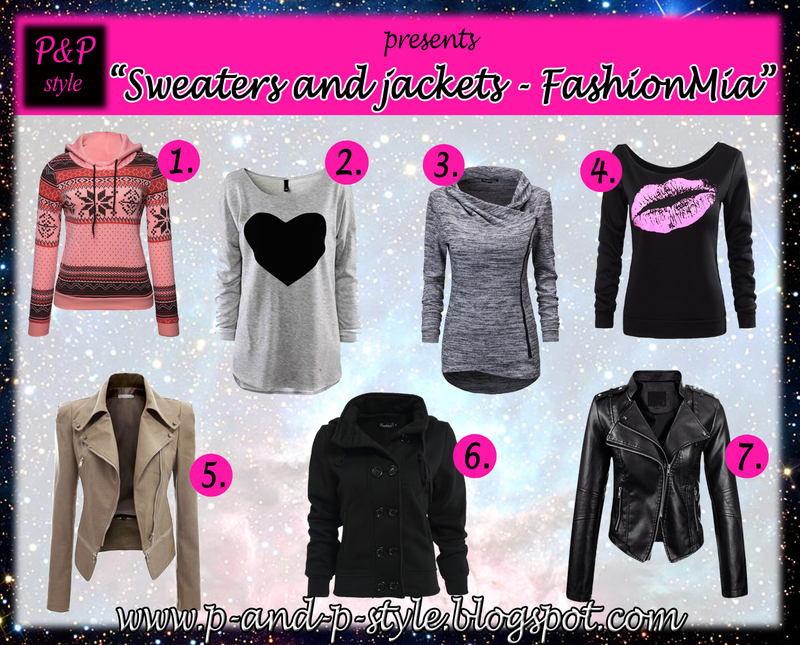 The women’s jackets and tops on the picture above are from FashionMia and you can find each individual item by clicking on its number. What kind of jackets do you like to wear? Do you prefer shorter or longer ones? As always please feel free to leave a comment below. I love number 5 :)! I'd love that you could enter on the giveaway that I have on my blog, you could win a $100 gift card to spend in clothes!